Europe’s 25 Corporate Startup Stars were unveiled at the Startup Europe Summit in Berlin today. The new ranking of Europe’s leading corporates working with startups reveals that an increasing number of industries – beyond high tech – are tapping into the potential of collaboration. 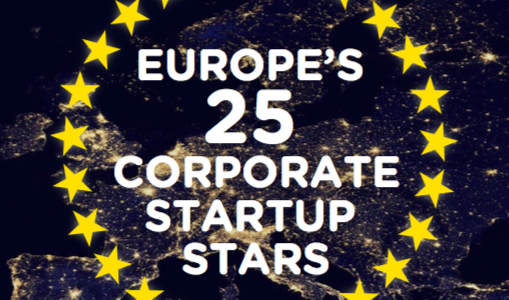 Led by UK innovation foundation Nesta and the Startup Europe Partnership (SEP), Europe’s 25 Corporate Startup Stars ranks big businesses working with startups. The ranking recognises the contribution of these within the startup ecosystem and aims to highlight role models for large firms. Corporates included on the list span banking, consultancy and advertising and were included for their high levels of effective engagement with startups, shining a light on the diverse approaches to these successful partnerships for mutual benefit, including direct investment, mentoring, intrapreneurship programmes, and competitions. Leading examples include Cisco whose investments arm manages a $2bn portfolio, and Cisco Entrepreneurs in Residence, a corporate venturing programme, which operates in London and across Europe. Rabobank, one of the founding partners of Startup Europe Fest, launched an online platform to connect 700 promising startups with entrepreneurs, and Unilever can count 100 pilots with startups and has invested over €550 million in promising businesses. The panel of eight judges included Sherry Coutu, author of The Scale-up Report and angel investor, Alberto Onetti, Chairman Mind the Bridge, Dolf Wittkamper, Head of EIT Digital’s Accelerator, and Candace Johnson, entrepreneur behind SES, Loral Teleport Europe and Europe Online.Read more about the corporates’ working relationship with startups at startups.co.uk/startupstars. The Startup Europe Summit takes place from 9th-10th June 2016 in Berlin and brings together startups, mature technology companies, policy makers, venture capitalists and the established industry to discuss the challenges and successes of technology and policy in Europe. 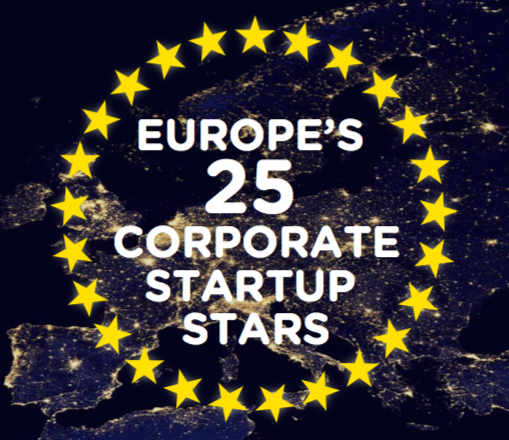 More than 70 corporates from across Europe entered or were nominated for Europe’s 25 Corporate Startup Stars in March 2016.